Class 5 white water rafting also called Grade 5 white water rafting is a term which refers to the difficulty and danger of a section of the white water river being rafted. White water rafting has a clear grading system that goes between 1 and 6 where 1 is flat and 6 is death, maybe not death but it’s usually impossible, think Niagara falls. 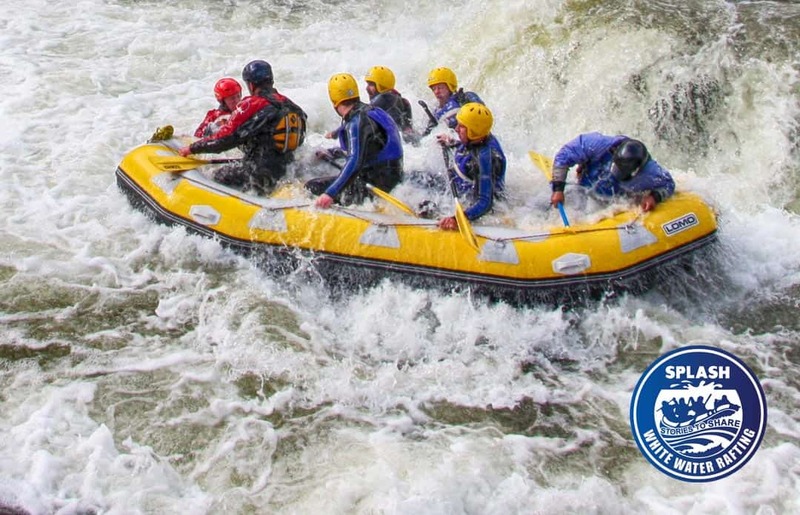 Class 5 white water rafting is defined by having many of these characteristics: difficult rapids, irregular broken water, big waterfalls, violent currents, steep gradient and maximum risk. Class 5 white water rafting is the upper limit of what can be experienced commercially, this classification of rapid provides the ultimate adrenaline rush, the ultimate rafting experience. However be very aware of the potential dangers as well. Here at Splash White Water Rafting Scotland, we raft a few grade 5 rapids. The River Orchy is probably Scotland’s best white water rafting river and offers two class 5 rapids, as well as lots of class 3 and 4 rapids. If you are looking for the ultimate rafting experience check out our Orchy page and book today.